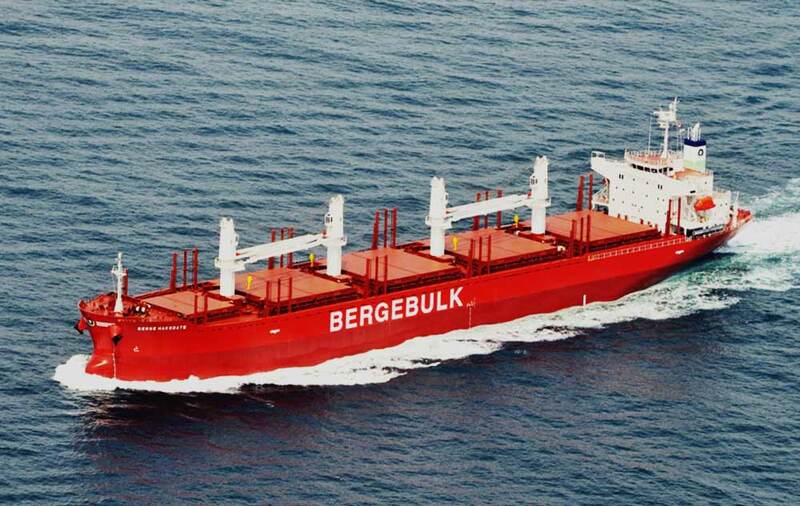 Berge Hakodate is Berge Bulk’s first handy-size vessel. Her delivery in May 2015 marked the exciting expansion into a new sector, diversifying the Company’s cargo service portfolio and opening up new trade routes to the growing and energy efficient fleet. 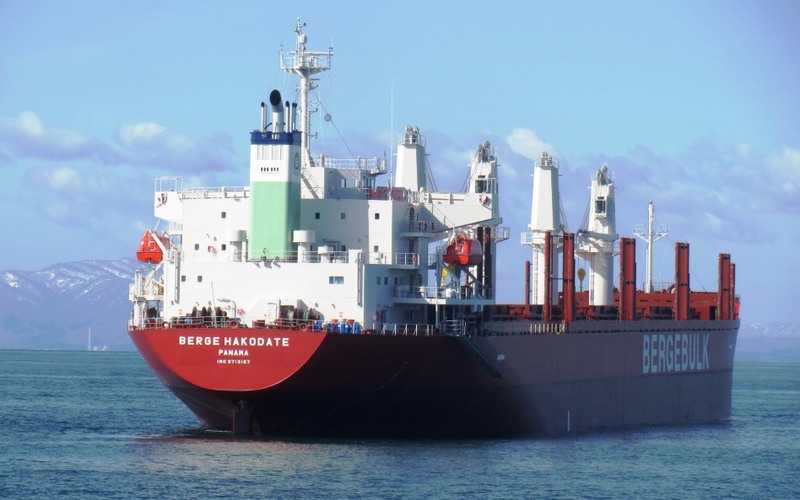 Much smaller than our typical capsize and very large ore carriers (VLOCs), Berge Hakodate has already traded a wide range of cargo in her first year of operation. Her maiden voyage took her from Japan to Longview at the United States West Coast, where she loaded 28,000 metric tons of petcoke (calcined petroleum coke) – a critical ingredient to the production of aluminum. This new type of cargo was successfully transported to Australia and New Zealand, where the ship loaded again with wooden logs – another ‘first’ in Berge Bulk’s history. Built at the Hakodate dock of Namura Shipyard in Hokkaidō, Japan, Berge Hakodate is the first in a series of six identical 34,000 DWT handy-size vessels. As such, she received her honourable name after Japan’s Mount Hakodate (函館山 Hakodateyama ) – a 334m hill at the southern end of the Hakodate peninsula. Berge Hakodate and her sister ships follow a strong legacy, as it was at this exact same dock where the legendary World-Wide Shipping founder, Sir Y.K. Pao, built his first ever ship, the “Eastern Sakura”, in 1962.